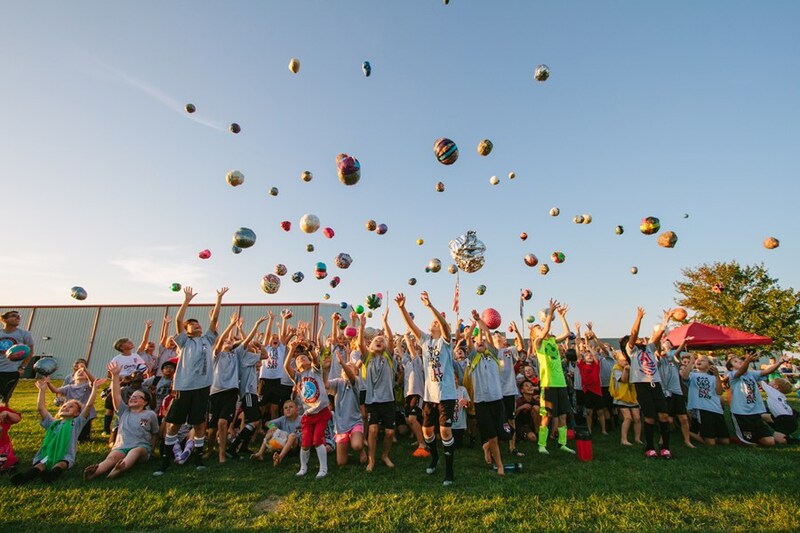 Youth Soccer Month is working with Make Your Own Ball Day to create the National MYOBD on September 17, 2018. Creativity is becoming an endangered talent. And MYOBD wants to foster the creativity of our youth and direct it towards solving problems and connecting people. It is our hope that creative players on the field can learn to be creative problem solvers off the field as well. By creating a ball, the player has ownership and control over how his/her ball looks and participates in a lesson of creating a solution to a problem that is real for far too many kids. The ball is just the catalyst. Connecting with new people, new ideas and new cultures allows you to gain perspective. By changing, broadening or experiencing a new perspective, we begin to understand the world around us in a whole new way. MYOBD believes that this is the key to growing as individuals daily. By making a ball from scratch, players are able to connect and see the world through another player’s eyes. Giving is an action that puts others before ourselves. MYOBD believes that this action gives life to both the giver and receiver. We have experienced the joy and satisfaction that giving brings and aim to challenge our players to do the same. We believe action should follow truth. The giving of a ball is an action that allows a soccer player to give a fellow player the chance to play. Playing is essential. Play satisfies our curiosity and need for exploration as well as establishes an avenue for our body to be active and engaged. Play promotes positive social interactions and healthy bodies. MYOBD takes play seriously and agrees that play is an essential part in personal development. We see the formula to be as simple as: a ball + kids = play. Appreciating what we already have comes from a grateful heart and is one of the keys to happiness. When we are appreciative, we focus on what we do have rather than on what we do not. MYOBD believes that we can be content with a ball, some friends and the ability to play. This event invites you to slow down and be content to just play.